The hotel offers a lobby reception with bar and terrace, open fireplace and free WiFi, award-winning a la carte restaurant (Michelin 1 star), dining rooms, lifts, panoramic gym and modern, extensive and spacious well-being health spa featuring an indoor pool, jacuzzi, tea bar, various steam and sauna rooms and relaxation water beds. Solarium, massages and beauty treatments are also available (payable locally). 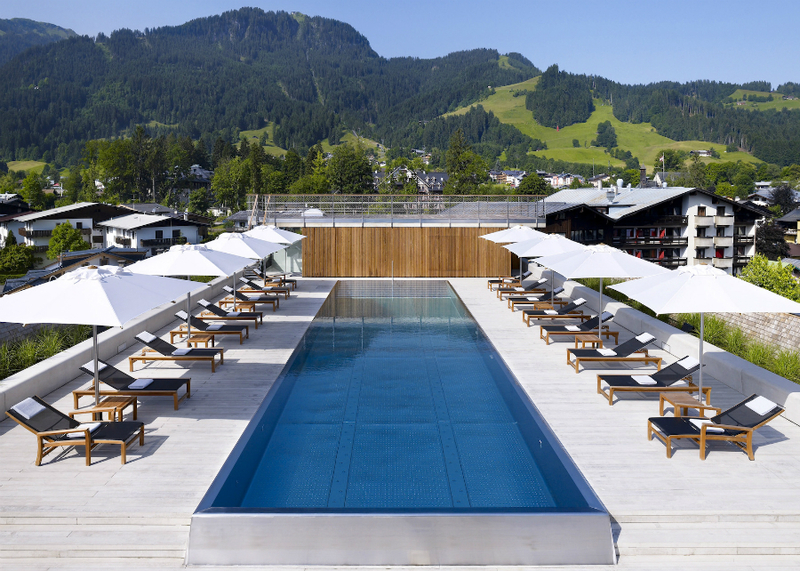 In addition to the indoor pool, the Hotel also features a 16-metre rooftop pool with stunning views over Kitzbuhel and the surrounding mountains. Please note the local tourist tax of EURO 2 per person per night is payable locally. The Hotel is located in the resort centre just a couple of minutes stroll from the pedestrianised, cobbled centre. 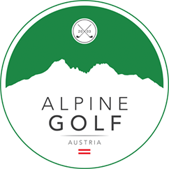 The nearest Golf Courses are GC Kitzbuhel-Kaps (5 minutes) and GC Kitzbuhel-Eichenheim and GC Kitzbuhel-Schwarzsee (both around 10 minutes drive). 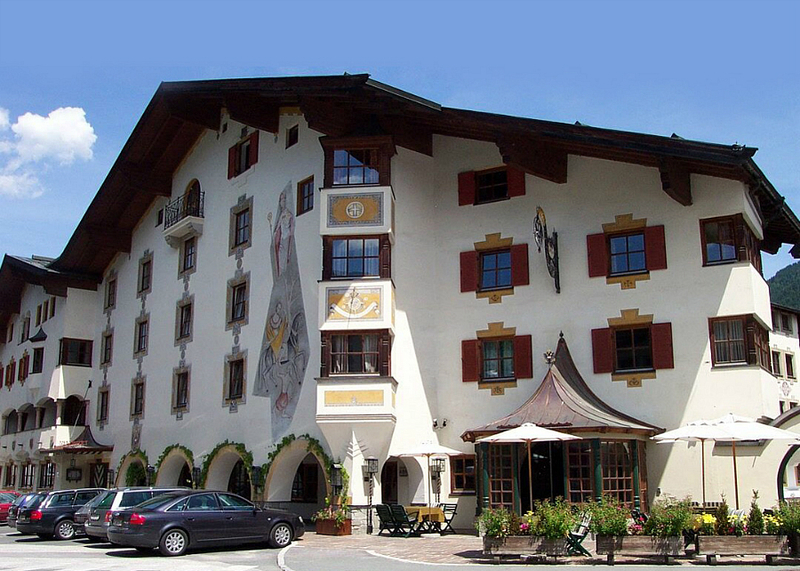 There are plenty of other courses within an hour’s drive of Kitzbuhel. 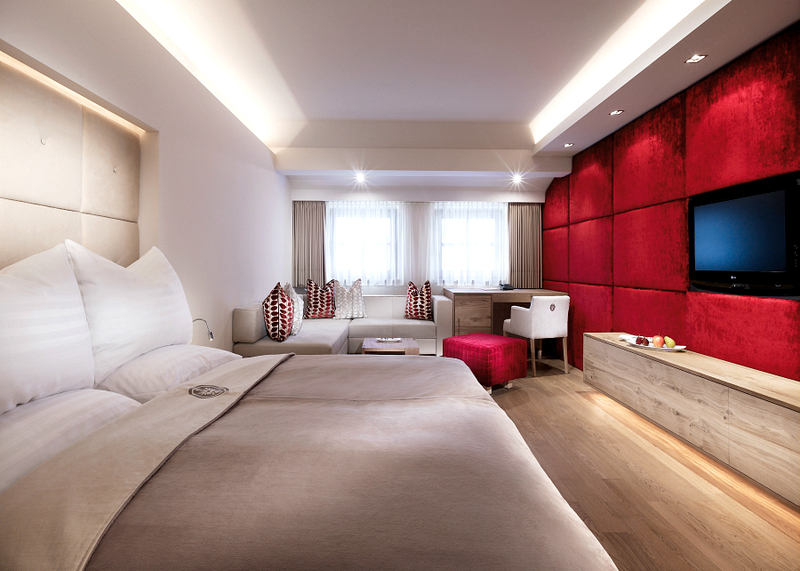 Standard rooms are the Hotel’s ‘Walde’ rooms which are traditionally furnished. 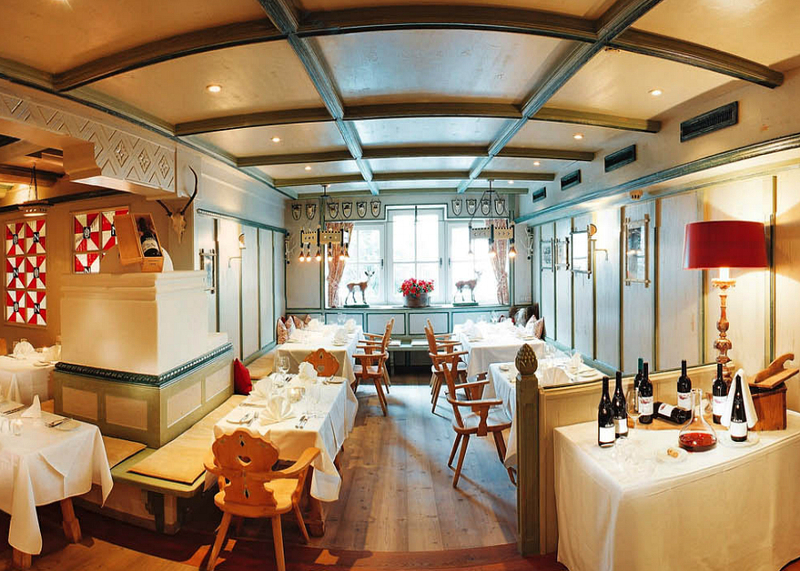 Recently refurbished in a contemporary Alpine style and at a small supplement are the ‘Kitzbuhel’ rooms and we also offer the superior ‘Tirol’ rooms. All rooms are ensuite with shower/bath, WC, telephone, cable TV, hairdryer, bathrobe and slippers for the spa. Accommodation is on a half board basis and the hotel enjoys an excellent reputation for its food. Breakfast is extensive from a hot and cold buffet and dinner is four courses with choice of main courses and a daily salad buffet. The 4* Superior Hotel Schwarzer Adler is, without doubt, one of Kitzbuhel’s best hotels and the addition of the stylish rooftop pool has enhanced its reputation and ranking in Kitzbuhel. An all-round, outstanding 4*S+ hotel with superb spa facilities in the centre of this iconic Alpine Resort town. Snowscape Limited (T/as Alpine Golf) is a member of the Travel Trust Association (TTA R711X) which offers 100% financial protection.